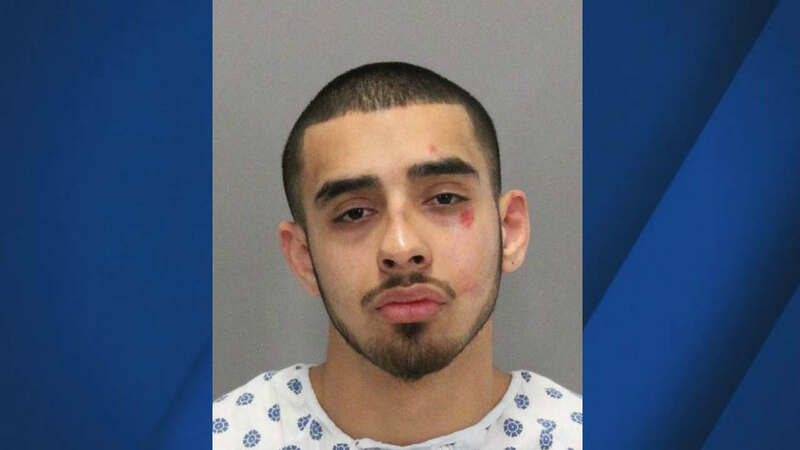 SAN JOSE, Calif. -- A 21-year-old man has been identified by the Santa Clara County Sheriff's Office as the suspect who allegedly robbed a bank in Scotts Valley on Thursday and then stole an unmarked law enforcement car and led authorities on a pursuit the next day. Cruz Vargas was arrested in connection with a crime spree that started shortly before 10 a.m. Thursday when a Bank of America at 4525 Scotts Valley Drive was robbed. A Scotts Valley police officer shot at the suspect during a pursuit on state Highway 17 that led to an hours-long manhunt and the shutdown of the highway, sheriff's officials said. Around 10 p.m., the suspect later identified as Vargas allegedly broke into a home in the Redwood Estates area and stole a woman's minivan at knifepoint, sheriff's spokesman Sgt. Rich Glennon said. The woman called 911 after Vargas fled in the minivan and the car was stopped after deputies set up spike strips on Alma Bridge Road. However, he fled on foot and remained at large overnight. At some point, he stole a 2009 silver Chevrolet Malibu that was an unmarked law enforcement car that was parked at the home of an officer who lives in the area. At 2:15 p.m. Friday, San Jose police began following the car on East Santa Clara Street, police Capt. Jason Dwyer said. Three occupants in the car were confronted at North Seventh and East Mission streets and two were arrested there, while the third fled. He was eventually arrested at North 10th and East Taylor streets after a search involving more than 50 officers and two helicopters, Dwyer said. Sheriff's officials have not released any other details about the other two suspects arrested Friday. Manhunt still underway after crime spree across Santa Cruz Mtns.